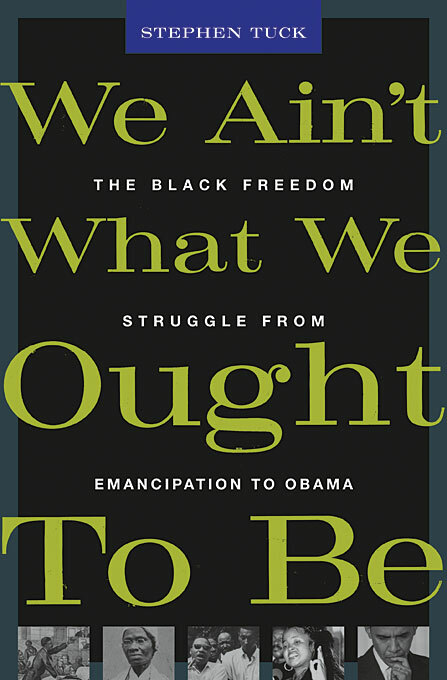 In this exciting revisionist history, Stephen Tuck traces the black freedom struggle in all its diversity, from the first years of freedom during the Civil War to President Obama’s inauguration. As it moves from popular culture to high politics, from the Deep South to New England, the West Coast, and abroad, Tuck weaves gripping stories of ordinary black people—as well as celebrated figures—into the sweep of racial protest and social change. The drama unfolds from an armed march of longshoremen in post–Civil War Baltimore to Booker T. Washington’s founding of Tuskegee Institute; from the race riots following Jack Johnson’s “fight of the century” to Rosa Parks’ refusal to move to the back of a Montgomery bus; and from the rise of hip hop to the journey of a black Louisiana grandmother to plead with the Tokyo directors of a multinational company to stop the dumping of toxic waste near her home. 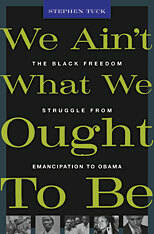 We Ain’t What We Ought To Be rejects the traditional narrative that identifies the Southern non-violent civil rights movement as the focal point of the black freedom struggle. Instead, it explores the dynamic relationships between those seeking new freedoms and those looking to preserve racial hierarchies, and between grassroots activists and national leaders. As Tuck shows, strategies were ultimately contingent on the power of activists to protest amidst shifting economic and political circumstances in the U.S. and abroad. This book captures an extraordinary journey that speaks to all Americans—both past and future. Read a New York Times op-ed by Tuck on the profound but contested legacy of Martin Luther King, Jr.